George Kinsel joined the Firm in 2010 as a non-attorney financial services consultant. His primary function will be to develop and manage a unit within the Firm’s Banking and Financial Services Department to assist clients in the mortgage industry obtain licenses for both companies and individuals through the Nationwide Mortgage Licensing System (“NMLS”). Eventually the functionality of the NMLS will be expanded to other license types, and Mr. Kinsel will assist other financial service clients in obtaining licenses through the NMLS. Prior to that time he will assist clients in obtaining licenses through various state regulatory agencies. Prior to joining the Firm, Mr. Kinsel spent 33 years in the state regulatory environment beginning as an examiner with the Maryland Commissioner of consumer Credit and becoming head of the Compliance Unit of the Commissioner of Financial Regulation created in 1996 by the merger of two agencies, the Commissioner of Consumer Credit and the Bank Commissioner. Staffing was increased from five in 1996 to approximately 20 in 2008 requiring increased personnel oversight. Examinations became increasingly complex, especially after the mortgage crisis which began in 2007. 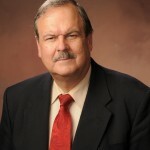 Mr. Kinsel served on the Mortgage Examination Guidelines (“MEGs”) committee set up jointly by the American Association of Residential Mortgage Regulators “AARM”) and the Conference of State Bank Supervisors (“CSBS”) which developed an examination program for the examination of nontraditional and subprime mortgage products. He also served on the Ability to Repay committee created by AARMR which developed an examination component for determining the consideration given by a mortgage lender to the borrower’s ability to repay a loan in making its credit decision. While AARMR President, Mr. Kinsel collaborated with CSBS on the initial development of what was to become the NMLS. The initial development work consisted primarily of creating the MU 1, 2, 3 and 4 forms which are used as applications on the NMLS. In 2007, CSBS created the State Regulatory Registry (“SRR”) Board of Governing Managers to oversee the implementation and operation of the NMLS. Mr. Kinsel was appointed to the Board as the AARMR representative. Mr. Kinsel received both his B.S. and M.A. from what is now known as Towson University.